Sr. Angela does her best to change hearts as well as minds: the minds of those who misunderstand disability, and the hearts of those who thought that they had no one left to care for them. For all it is the Angel’s Home, but it is also very much Sister Maria Angela Bertelli’s home. 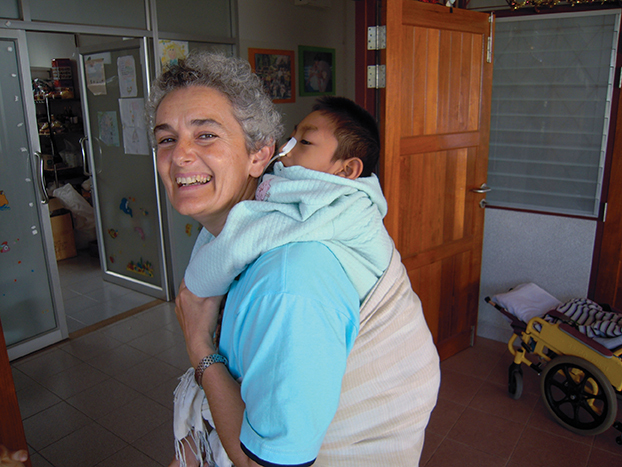 She is a Xaverian missionary who lived 16 years in the slums of Bangkok with mothers and children affected by severe disabilities. Sr. Maria Angela Bertelli, 59, a Xaverian Missionary from Carpi (Modena, Italy), has fought for years against all forms of exclusion and dehumanization, in order to always keep the humanness of people front and center; thus to be able to see anyone through the eyes of Jesus. It was the leitmotif of her mission, in apparently very different places, but always marked by strong injustices and inequalities. With many stories of people who are often considered less than nothing; from the slums of Harlem in New York to the slums of Bangkok. Passing through the civil conflict in Sierra Leone, one of the bloodiest and most ferocious, during which she was kidnapped for six months with six other sisters. Then there are the women, in Sierra Leone as well as in Thailand, this new mission land was where she would never have imagined to be assigned; women as bulwarks of patience and resistance, of commitment and courage. 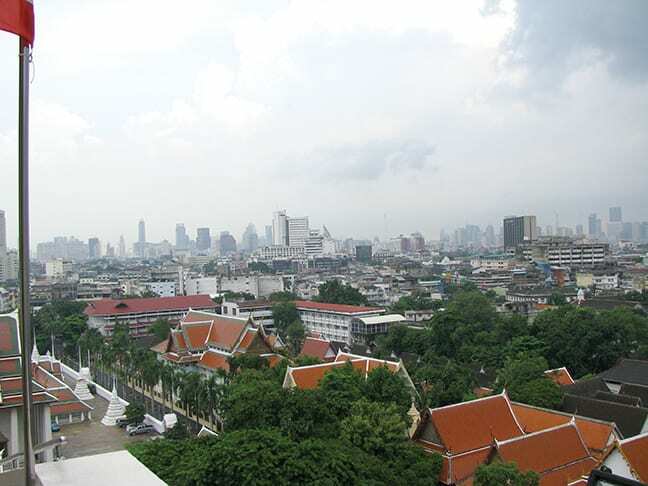 It is with them that she has resumed her new missionary life, on another continent, amid other forms of degradation: those of the boundless slums of Bangkok, where she spent 16 years of her life. There are over 2,000 of them, within an immense population that lives in shacks without sanitation and infrastructure. 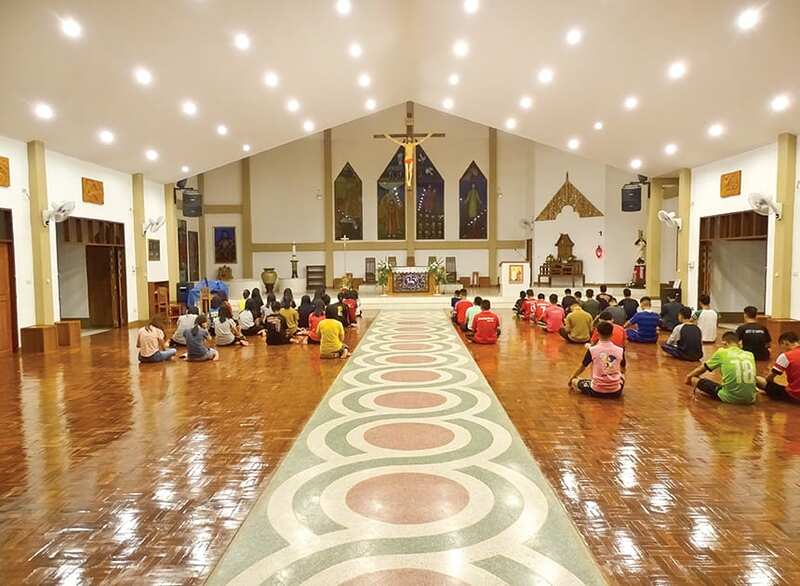 A physical, but also spiritual degradation of values and humanness; for this reason, even here, after having traveled far and wide these places of misery and abandonment, Sr. Angela decided to start over from a house, from a family. 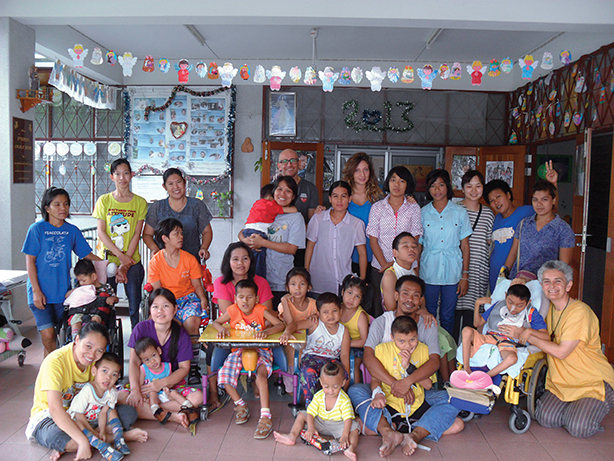 Residents of the Angels’ Home in Bangkok, Thailand pose for a picture with their families. Disability in a Buddhist context, in which everything is determined by karma, is perceived and experienced as a curse or punishment for something bad that has been committed in a previous life by the mother or by the children themselves.